Bottom line: Although not drastically different in appearance, GoPro's latest cameras bring slight improvements without raising prices. Frequent action cam users will want to get the Hero7 Black for its buttery smooth stabilization technology. GoPro has published details of its Hero7 series of action cameras after a press release from B&H was spotted. Note that some specifications in B&H's release do not match what is published on GoPro's website. Starting off at the top, the Hero7 Black can record at 4K60, 2.7K120, and 1080p240. At 4K, the maximum bitrate is 78 Mb/s. In terms of audio capture, stereo and raw modes are available. An optional adapter will allow for an external mic to be connected for improved audio capture. Still images can be captures at 12MP up to 30 fps. Improved video stabilization marketed as "HyperSmooth" will help eliminate shake and jitter. A major feature that is exclusive to the Hero7 Black is built-in live streaming. Another is Protune which provides the user access to white balance settings and ISO limits. SuperPhoto is also a feature that allows optimization of photos with local tone mapping, noise reduction, and HDR. Moving on the the Hero7 Silver, video recording maxes out at 4K30 and is also capable of 1440p60 and 1080p60. 4K bitrates on the silver only reach 40 Mb/s. Still images can be taken at 10MP up to 15 fps. The silver model also features video stabilization, but not the touted HyperSmooth option found on the Hero7 Black. At the most affordable end of the lineup, the Hero7 White shoots at 1080p60 and takes stills at 10MP up to 15 fps. All three models feature 2" LCD touchscreens and can be controlled via voice for when reaching the camera can be difficult. A Hero7 White starts at $199.99. The Silver model goes for $299.99, while the professionals and enthusiasts will have to give up $399.99 for the Hero7 Black. 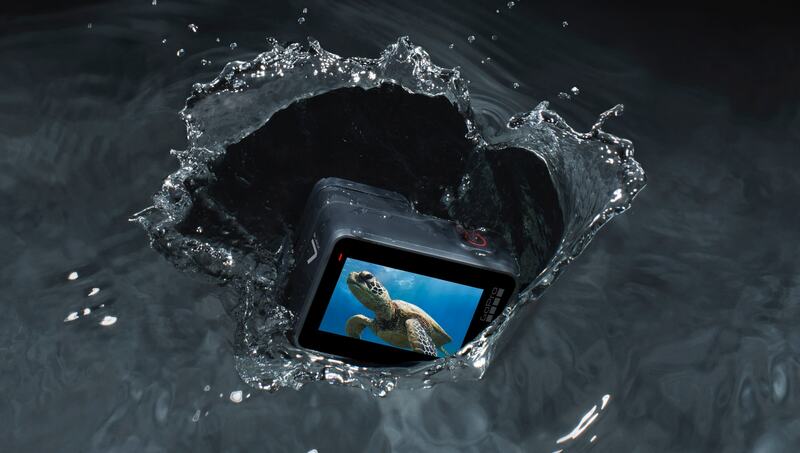 Although not new today, the GoPro Fusion reaches 5.2K30 and rounds out the lineup at $699.99. Preorders are live now with shipments expected to out on or before October 2.